Learn how to make smoothie drinks delicious and creamy! How to make smoothie drinks just the way you like them! The base is the foundation of your smoothie recipes. Choose wisely. Keep in mind... you don’t have to pick just one. I like to mix coconut milk with frozen bananas as the base. YUM! Bananas are the main base that I recommend. They are naturally sweet and creamy. 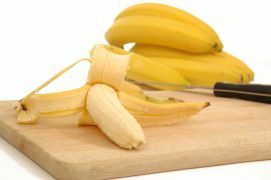 Save money on bananas by buying overripe bananas. You can peel them, cut them into chucks, and freeze them for future smoothies. The sweetest bananas have brown speckles on the peeling. Please don’t disappoint your smoothie by adding under-ripe greenish bananas. Usually one to two bananas work great for a creamy smoothie. You can mix them with other fruit to create a variety of different banana smoothies! While working at the juice bar, I learn very quickly that some people just don’t like the flavor of bananas. Pears are a great alternative. Pears need to be ripe just like bananas to give good flavor in your smoothie. One pear per smoothie adds good flavor and base to a pear smoothie. While I don’t like avocados straight, I love the creaminess that they give to a smoothie. 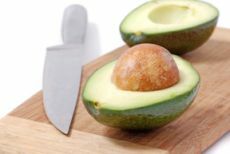 How to make smoothie base is easy with ripe avocados! Some people enjoy eating them with just a spoon. But many others need avocados mixed with other ingredients. Which is completely fine! They may be full of beneficial fat, but don’t “overload” for two reasons. One, because of the high fat content. Two, the flavor. For these reasons, I recommend only 1/4 - 1/2 of a full avocado per smoothie. Yummm... I love nuts in smoothies! They add a terrific creamy texture when blended correctly. Nuts need to be used in moderation. You can use 1/8 to 1/2 cup per smoothie. I usually use 1/4 cup when nuts are my base. Blended nuts are a terrific alternative to using milk or ice cream in smoothies. 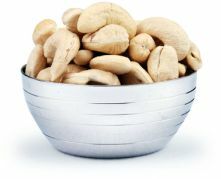 The best way to get a smooth consistency with nuts is to blend the nuts with the liquid first. Then blend the frozen fruit and/or ice with the nut cream. All over the web you can easily find a yogurt smoothie recipe. Greek yogurt smoothies are becoming very popular, as it contains more protein. Many people are allergic to dairy and should avoid it. Milk is now very processed compared to what it used to be. If you are looking for a substitute try coconut milk! If you must have your dairy, get plain yogurt with beneficial bacteria and with no added sugar. Stevia is a natural non-caloric sweetener that can replace the usual sugar used in traditional yogurts. Cottage cheese is another option to use. Use about 1/3 to 1 cup worth of yogurt or cottage cheese.